Answers to your questions on buying private number plates. Can you trace the owner of a number plate? Can you trace who owns a number plate I want to buy? We are often asked if we can trace the owner of a particular registration number. But unfortunately this is not possible. We cannot do this for you as it is protected information. We understand that you may wish to trace the owner in order to make an offer for the registration number. Your questions answered on buying number plates. Why can't I trace a number plate? Individuals' data is protected under the Data Protection Act. Only certain organisations, such as the police and the DVLA have access to that information. If you think about it... if that was your information, you probably wouldn't everyone to be able to access it. Read more about Can you trace the owner of a number plate? Why is there vat on some number plates and not others? Read more about Why is there vat on some number plates and not others? The private number plates you ordered are registered with the DVLA in the name you give us. This takes about 2-3 working days to be confirmed. A pink V750 Certificate of Entitlement is then posted to you. Read more about What happens when I order? My car already has a private number plate on it. What happens to that? There may already be a private number plate on the vehicle, and you want to put a different one on it. You can either transfer the current private number plate to another vehicle, or apply to have it on a Retention Document (V778). This must be done at the same time – you cannot do it later. If you don’t apply to transfer the registration number at the same time, it will be lost. Read more about My car already has a private number plate on it. What happens to that? My V5C says the registration number is non-transferable. Can I still buy a personalised number plate for it? What does it mean if my V5C Registration Document has "non transferable" next to the car registration number? Can I still put a private number plate on my car? Read more about My V5C says the registration number is non-transferable. Can I still buy a personalised number plate for it? I’m buying a brand new car. Do I have to pay the New Registration Fee as well as the £80 number plate transfer fee? I’m buying a brand new car. Do I have to pay the New Registration Fee as well as the £80 DVLA number plate transfer fee? Am I paying for the same thing twice? Read more about I’m buying a brand new car. Do I have to pay the New Registration Fee as well as the £80 number plate transfer fee? I’m buying a brand new car. Can I get the registration number on a Certificate? 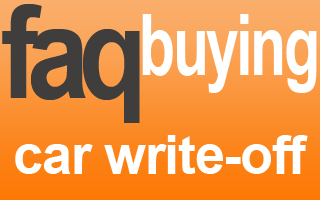 Read more about I’m buying a brand new car. Can I get the registration number on a Certificate? My car tax / MoT is due shortly. Can I still transfer a private number plate to it? Read more about My car tax / MoT is due shortly. Can I still transfer a private number plate to it? My MoT has run out. Can I put a private number plate on it? Read more about My MoT has run out. Can I put a private number plate on it? My car isn’t taxed. Can I still transfer a number plate to it? Can I transfer a private number plate to my car if tax has expired? No. 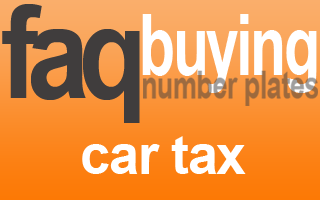 A car must be taxed to transfer a private number plate to it. Read more about My car isn’t taxed. Can I still transfer a number plate to it? I don’t have a car or it’s not ready yet. Can I still buy a private number plate? Read more about I don’t have a car or it’s not ready yet. Can I still buy a private number plate? How do I pay for my number plate? Can I part exchange my private number plate? I want to buy a private registration. Can I part exchange for one I already have? Will I be able to pay the difference? 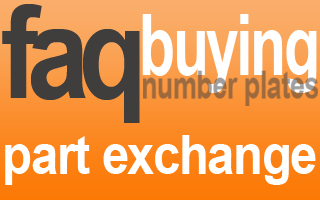 Read more about Can I part exchange my private number plate? Can I get finance on private registration numbers? Can I get interest free finance on private registration numbers? We do not currently offer finance packages on private registration numbers. Read more about Can I get finance on private registration numbers? You've only taken a deposit. Why? When is the balance due? Read more about You've only taken a deposit. Why? When is the balance due? How can I pay for my private number plate? How can I pay for my private number plate? Will you take a deposit? 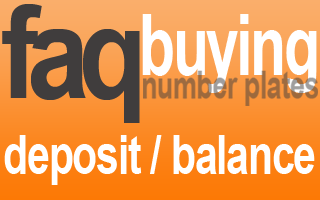 Cards: Most debit cards and and credit cards are accepted. Read more about How can I pay for my private number plate? What happens when I buy a private number plate? What happens to car insurance when I buy a private number plate? If I get a private number plate, what happens to my car insurance? What do I need to do? Will I be charged? Does it increase the cost of my insurance? Read more about What happens to car insurance when I buy a private number plate? How can I get my registration number changed on my car documents? If I get a cherished number plate what happens to my car documents and insurance? How does my MoT, tax and V5C Registration Document logbook get changed? Read more about How can I get my registration number changed on my car documents? I bought a registration number from you. Can I put plates on my car and use it straightaway? Can I put the number plates on my car straightaway? I've bought a personalised registration. What next? How do I get my plates and when can I swap them over? 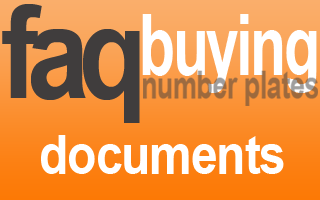 Read more about I bought a registration number from you. Can I put plates on my car and use it straightaway? ...if my car is in mainland UK? Do I have to do two transfers? Can I put it on retention? Can I transfer a number plate to a Q registered vehicle? 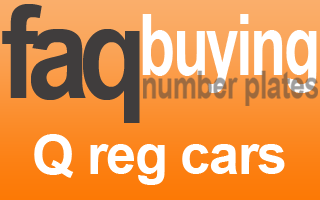 Can I transfer a private number plate to a Q registered kit car? 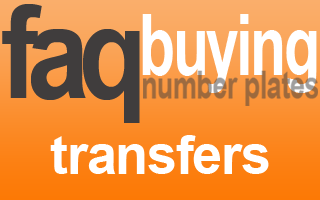 Read more about Can I transfer a number plate to a Q registered vehicle? Can I get a progress report on my number plate transfer? Is it possible to find out how my number plate transfer is going? Generally not whilst the transfer is in progress. 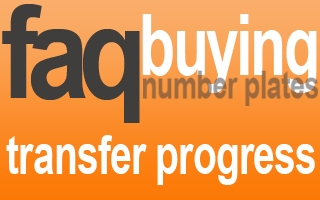 Read more about Can I get a progress report on my number plate transfer? Why do some number plate transfers take longer than others? Some transfers can be really straightforward. These are usually done pretty quickly. Read more about Why do some number plate transfers take longer than others? How long to transfer my new private number plate to my car? 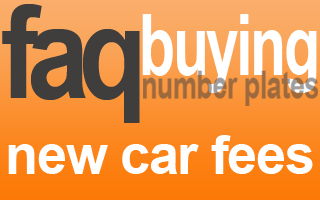 Read more about How long to transfer my new private number plate to my car? 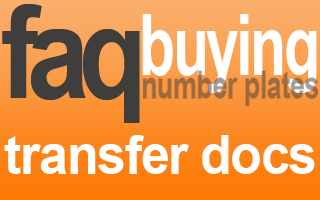 Number plate transfer to Northern Ireland - how does it work? I want to transfer a private number plate to my car in Northern Ireland. Can I do that? How does it work? Read how rules have changed to make this much easier. 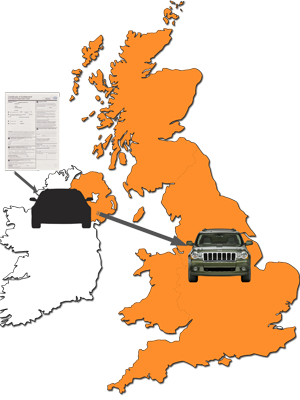 Read more about Number plate transfer to Northern Ireland - how does it work? Can I use a V750 Certificate of Entitlement if I live in Northern Ireland? Yes. You can now transfer a private number plate from a pink V750 Certificate of Entitlement directly to your car even if you live in Northern Ireland. How do I transfer it. We want to bring you lots of useful stuff about personalised number plates. This page is still being put together. We are working on this page to fill it with answers to your questions. In the meantime please contact us if you have a specific question. Read more about Can I use a V750 Certificate of Entitlement if I live in Northern Ireland? What happens to my old registration number? Unless you apply to retain your old registration number (DVLA fees apply), the registration number on your vehicle will become 'void'. It's not always necessary to retain your private number plate. If it's a standard one you can let it go. The DVLA will reassign another when you later move your private number plates to your next vehicle. Read more about What happens to my old registration number? What happens after I've sent my documents? The DVLA will assign the private number plates to your vehicle, and supply you with replacement documents. They will write to you to confirm. It takes around 1-3 weeks for the DVLA to process your application. Read more about What happens after I've sent my documents? Under the DVLA Cherished Number Plate Transfer Scheme, the DVLA allows you to transfer a personal number plate from one vehicle to another. So what's the transfer process for private number plates? I’m changing cars, but I want to keep my personal number plate. Can I transfer it? If you have bought another vehicle, and you still own your current vehicle, you can transfer your private registration directly from one vehicle to another. The DVLA allows you to transfer a private registration number from one vehicle to another. This is the DVLA Cherished Transfer Scheme. Read more about I’m changing cars, but I want to keep my personal number plate. Can I transfer it? My car MOT and / or tax has run out. Can I keep the registration number? It depends on how long ago the MOT or tax expired. See Can I sell my number plate? Read more about My car MOT and / or tax has run out. Can I keep the registration number? I’m planning to scrap my car, but I want to keep the private number plate on it. Can I do that? You will need to apply to retain the registration number. You should do this before you scrap the car, and a Certificate of Destruction is issued. Read more about I’m planning to scrap my car, but I want to keep the private number plate on it. Can I do that? I’m selling my car. Can I keep my private number plate? The simple answer is….. yes. Read more about I’m selling my car. Can I keep my private number plate? What extra costs are there when buying a number plate? When I buy a private number plate are there extra hidden costs? No. There are no surprises. Read more about What extra costs are there when buying a number plate? What happens to documents V5C / MoT / tax when my number plate changes? What happens to my car documents when my number plate is changed? Your V5C Registration Document (also known as the log book) has the existing registration number printed on it. When the car has been re-registered under your new private number plate by the DVLA, you will receive replacement V5C Registration Document. You will not receive a replacement MoT Certificate, but the DVLA's systems are updated automatically. So just take your vehicle for MoT as usual. Tax discs no longer issued after 1st Ocotber 2014. 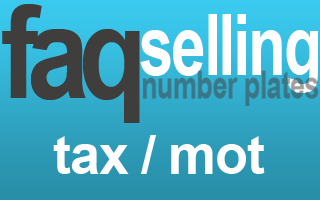 Read more about What happens to documents V5C / MoT / tax when my number plate changes? What happens to my personalised number plate when I change my car? When I change my car in the future, what happens to my personalised number plate? Can I transfer it to my new car? How long does that take? How do I do that? Read more about What happens to my personalised number plate when I change my car? What happens to the registration number already on my car? Read more about What happens to the registration number already on my car? Why do you need my vehicle documents for the number plate transfer? Why do I have to send my vehicle documents to transfer a private number plate? What happens to them? Will I get replacements when the registration is changed? Read more about Why do you need my vehicle documents for the number plate transfer? What documents do I need to transfer a private number plate to my vehicle? What car documents do I need to transfer a personalised number plate? What if I don't have my V5C Registration Document? Find out what you need and how to apply. Read more about What documents do I need to transfer a private number plate to my vehicle? I paid a deposit. How and when do I pay the balance? I paid a deposit on a private number plate. How and when do I pay the balance? What happens after I've paid? Read more about I paid a deposit. How and when do I pay the balance? What if I need to change the nominee name on the V750 Certificate? If you decide to put the registration number onto a vehicle registered in to someone who is not named on the Certificate, you will need to ask us to change the nominee. Fees apply. Read more about What if I need to change the nominee name on the V750 Certificate? What if the V750 Certificate of Entitlement runs out? If you won't be ready to transfer the registration number to a vehicle before the Certificate expires, you will need to ask us to extend it for you. Fees apply. You can extend as often as you need to. Read more about What if the V750 Certificate of Entitlement runs out? What happens to my private number plate when I sell my vehicle? When you sell your vehicle later on, you may wish to keep your private number plate. You will need to apply to the DVLA to either transfer the private registration number direct to another vehicle, or retain the number onto a V778 Retention Document. DVLA fees apply. When the DVLA processes your application, they will provide a standard (age related) registration number to replace your private number plates. This usually the original registration number that was on the car before. But this is not guaranteed. Read more about What happens to my private number plate when I sell my vehicle? What should I do with the V750 Certificate of Entitlement? You must transfer the registration number to a vehicle in the Nominee name (on the Certificate) before the expiry date on the Certificate. *If you have just purchased the vehicle and don't yet have a V5 Registration Document, the DVLA may accept the green New Keeper Supplement slip accompanied by a DVLA V62 form. Read more about What should I do with the V750 Certificate of Entitlement? Can I put my private number plates straight on my car? No! You must re-register your car with the DVLA. Your vehicle documents will then be replaced, showing the new registration number. Only when this has been confirmed by the DVLA can you put the number plates on the car and start using them. Full instructions on how to do this are on the back of the V750 Certificate of Entitlement. Read more about Can I put my private number plates straight on my car? If you've asked us to supply your new private number plates on a Certificate, please read this before contacting us with further questions. Will the number plates have holes for the fixing screws? Will the number plates arrive with holes in, for fixing to my car? Read more about Will the number plates have holes for the fixing screws? When will I get my number plates? I've bought a private registration number. When do I get the number plates for the car? What do I need to do? When can I swap the plates over? Can I change the spacing? Read more about When will I get my number plates? Do I have to buy my number plates from you? Do I have to buy number plates from you? You can buy your number plates wherever you wish. Read more about Do I have to buy my number plates from you? Can I move spaces and letters on the number plate? Can I change the spaces between the letters on my number plate? I've got a private number plate. Can I make it look more like what I want? What is legal on number plates? Read more about Can I move spaces and letters on the number plate? When can I put the new number plates on my car for my private registration? When can I put my new number plates on my car? You can only put the number plates on the car once it has been re-registered and you have received official DVLA confirmation. Read more about When can I put the new number plates on my car for my private registration? What are the terms for buying number plates? Full terms for buying private number plates. Your questions answered about selling private number plates. Can I sell my number plate? My car isn't old enough for an MoT. Can I sell the number plate? My car is not old enough to need an MoT. I have a private number plate on it. Can I sell it? Can I transfer it? Yes you can. Follow our guide on what you need to do. Read more about My car isn't old enough for an MoT. Can I sell the number plate? I have V5C logbook but no car. Can I sell the number plate? Can I sell the car registration number if I have the V5C logbook but the car no longer exists or is not driveable? Is it worth anything? Read more about I have V5C logbook but no car. Can I sell the number plate? My cherished number is on a tractor / milk float / kit car. Can I sell it? My cherished registration number is on a tractor / milk float / kit car. Can I sell it? Read more about My cherished number is on a tractor / milk float / kit car. Can I sell it? My number plate is non-transferable. Can I sell? It says non-transferable next to the registration number on my V5C log book. Why does that mean? Can I still sell the number plate? Can I make it transferable? Read more about My number plate is non-transferable. Can I sell? Can I scrap my car before I sell my number plate? Planning to scrap your car? Got a personalised number plate and thinking of selling it? Don't scrap the vehicle until the registration number is on retention. 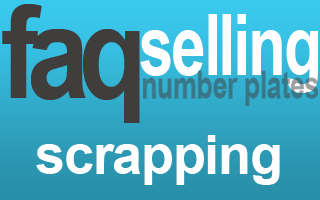 Read more about Can I scrap my car before I sell my number plate? My car tax has run out. Or MoT has expired. Can I still sell my number plate? My car tax has run out. My MoT has expired. Can I sell my private number plate? What documents do I need? What should I do? Your questions answered. Read more about My car tax has run out. Or MoT has expired. Can I still sell my number plate? Do I have to put my private number plate on retention? Does my number plate have to be on retention to sell it? 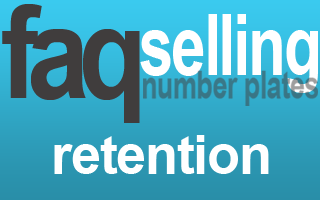 Read more about Do I have to put my private number plate on retention? How do I advertise my private number plate with The Plate Market? How do I advertise my private number plate? 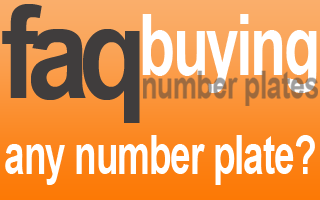 There are lots of options for selling private number plates. 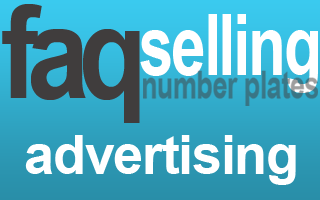 You can advertise with us and we'll start marketing it for your straightaway. 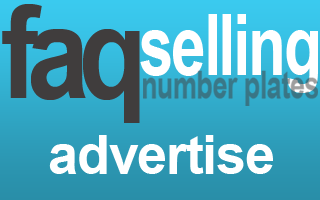 Read more about How do I advertise my private number plate with The Plate Market? Can I swap my private number plate? Will you swap my private number plate? I want to sell my personalised number plate. Can I sell it instantly, or swap it for another number plate? How much will I get in part exchange for mine? Read more about Can I swap my private number plate? Can I sell my private number plate direct to The Plate Market? Can I sell my number plate direct? Yes. We do buy some private number plates. But not all. 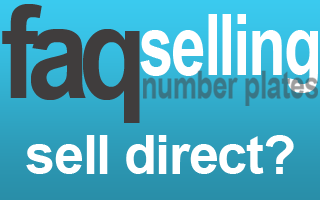 Read more about Can I sell my private number plate direct to The Plate Market? What are my options for selling my private number plate? 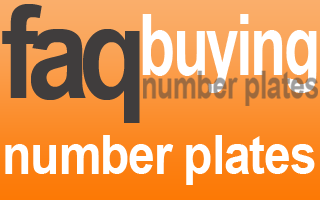 We offer 3 options for selling private number plates. 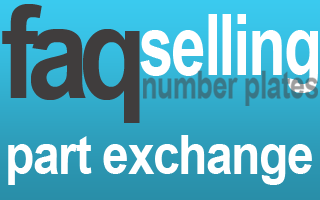 Read more about How do I sell my private number plate? How do you value a number plate? How do you decide on the value of a private number plate? What makes one number plate worth more than another? Read more about How do you value a number plate? If I get a number plate valuation, do I have to sell with you? Read more about If I get a number plate valuation, do I have to sell with you? How do I get a free number plate valuation? Read more about How do I get a free number plate valuation? How much can I get for my private number plate? Read more about How much can I get for my private number plate? How much does it cost to sell a private number plate? Read more about How much does it cost to sell a private number plate? Can I cancel? What does that cost? Can I cancel my number plate advertisement with you? What does that cost? How do I do it? Read more about Can I cancel? What does that cost? What happens if things change while my number plate is for sale? Can I make changes once my number plate is up for sale? 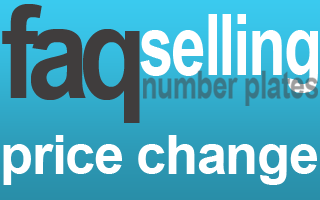 Read more about What happens if things change while my number plate is for sale? 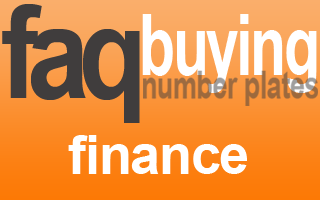 Can I change the asking price of my number plate? Can I change the asking price for my number plate after it's advertised? 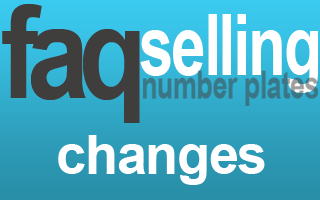 Read more about Can I change the asking price of my number plate? How will I know you’ve sold my registration number? Read more about How will I know you’ve sold my registration number? Read more about What happens when an offer is made? Will you accept an offer on my private number plate without my consent? Read more about Will you accept an offer on my private number plate without my consent? What happens whilst my number plate is for sale? What happens while my number plate is for sale? You continue to own the registration number while we advertise it for you. Read more about What happens whilst my number plate is for sale? Do I have to buy another number plate when mine is sold? Read more about Do I have to buy another number plate when mine is sold? When do I get paid for selling my private number plate? When do I get payment after a number plate sale has been agreed? Payment will be made on successful completion of the sale. 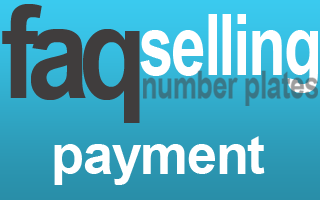 Read more about When do I get paid for selling my private number plate? What happens when I sell my number plate? Read more about What happens when I sell my number plate? My number plate certificate has expired. What can I do? My private number plate certificate has expired. Can I get it back? What happens to it? Have I lost my registration number? Read more about My number plate certificate has expired. What can I do? What should I do if my car is cloned? Vehicle cloning is when someone puts your car registration number on theirs, and passes their car as if it's yours. Usually, they will go so far as to pick a car that's the same model and colour as yours. They are basically stealing the identity of your car to hide the real identity for one which may be stolen. That will then make it look completely legal. Read more about What should I do if my car is cloned? What is a V5C Car Registration Document? What is a V5C Registration Document? What happens if I never received one? What happens if mine gets lost? If I have the Regsitration Document but I don't have the car, can I still sell the number plate? Read more about What is a V5C Car Registration Document? You may find that the number plates have been stolen from your vehicle. Why would someone steal my number plates? How do I get number plates made up? Read more about What should I do if my number plates are stolen? What happens to private number plate car written off? My car is a write-off. What happens to my private number plate? Check this guide and act quickly before you lose the registration number. No one likes to think about the possibility of having an motor accident. But we all know they happen. And sometimes the damage to the vehicle is not economical to repair. So the car is declared as written off. If you have an accident, your car insurance company may decide to write off your car. That means that your insurer has decided your vehicle is beyond economical repair. The car insurance company then agrees a pay-out with you. Once that’s settled, your insurance company now owns the vehicle. And the company can dispose of the vehicle as they wish – either by selling it as salvage or having it scrapped. Read more about What happens to private number plate car written off? What happens to personalised number plate if my car is stolen? What do I do about my personalised number plate when my car is stolen? Read more about What happens to personalised number plate if my car is stolen?